Copper Canyon Press, 9781556591082, 140pp. Anna Swir (1909-1984) famously said "A poet should be as sensitive as an aching tooth." 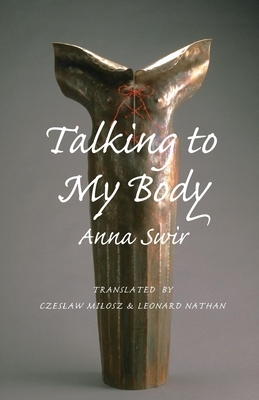 Swir was one of Poland's most distinguished poets, and she was open in her feminism and eroticism, with poetry that explored the life of the female body--from the agonizing depths of wartime to delirious sensual delight. The New York Times wrote that Swir's poetry pointed toward a "ferocious internal life." A member of the Resistance during the Nazi occupation and a military nurse in a makeshift hospital during the Warsaw Uprising, Swir once waited an hour fully expecting to be executed. Affected deeply by her experience, she wrote a poetry which rejected the grand gestures of war in favor of a world cast in miniature, a world in which the body and individual survive. Co-translated by Nobel Laureate Czeslaw Milosz and Leonard Nathan, with an introduction by Milosz, who writes: "What is the central theme of these poems? Answer: Flesh. Flesh in love and ecstasy, in pain, in terror, flesh afraid of loneliness, giving birth, resting, feeling the flow of time or reducing time to one instant. By such a clear delineation of her subject matter, Anna Swir achieves in her sensual, fierce poetry a nearly calligraphic neatness."